Samu Kemppainen from Finland the 2014 European World Champion, 2102 EDRS Nordic champion, 2014 Nitrolympics Germany winner will be racing together again out of the Big Kids Racing Pits of Nate Gagnon in Canada for the Rocky Mountain Nationals. 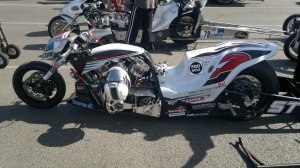 The Skull Racing Team is coming over to compete on a newly built Nitro V60 from the Big Kids Racing Shop. Bringing their team and experience is going to be business as usual for Samu and team. 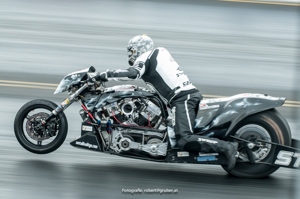 “They have extensive experience with the Nitro V60 motors and bike combinations from our shop and I am confident they will be contenders” Says Nate. After almost seven long and hard years, we finally won the European Championship! We would like to thank all of our sponsors and friends, who helped make this possible! Next weekend it will be on! 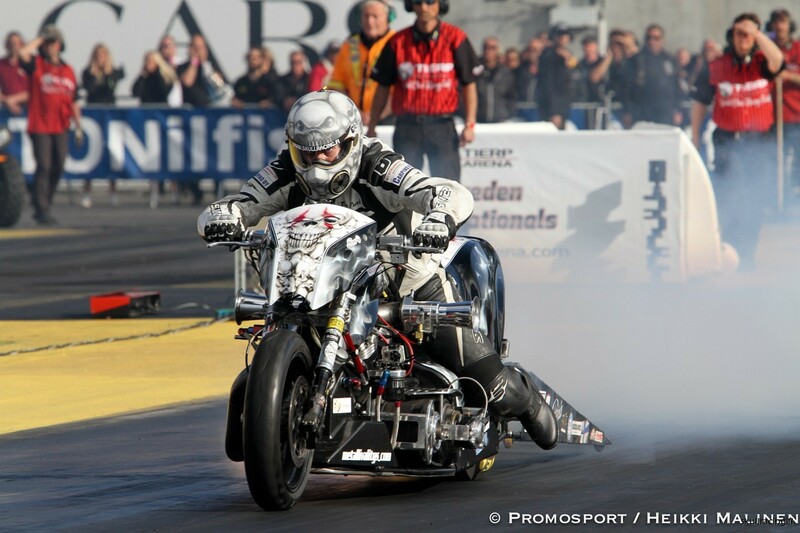 This years first FIM race is the Main Event in Santa Pod 23.-26.5.2014. You can follow the event via eurodragster.com. We will be also updating our facebook site (facebook.com / skullracing) as often as possible. After the bad start at Tierp we got finally things rolling. The bike is running the way it should be and we are now back on tuning. After these races we are now at the 2nd place in Nordic Cup -serie and sharing the 1st place in FIM serie with Ronny Aasen. One more week to wait and then we are heading to Tierp, Sweden to the seasons first Test and Tune race. After this 10.5.-12.5.2013 weekend, we'll see if the total rebuilt has improved or not the bike. We'll let you know then! The bike and the rider are ready to race, still we have lot's of things to do. We haven't yet even started packing the stuff up! Just can't wait any longer.. Season 2013 is now starting little by little. Finally after the long, dark, cold and snowy winter. The bike has been totally rebuilt, motor and transmission has brand new parts on them. Frame and fairings got also a new fancy "black" paintjob by Faw D-sign (www.faw.fi). 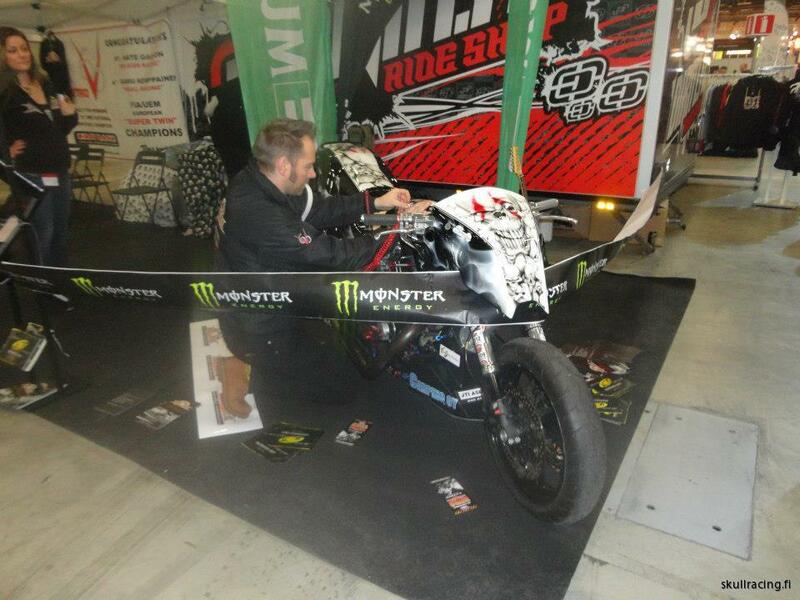 We'll put some pictures from the bike after the Finnish MP13 Motorcycle Show. This summers racing schedule seems to be reasonable with the 4 UEM and 5 Nordic Challenge races, and we are also planning to do some test runs before the season opener race. The racing season 2012 is now almost at the end. 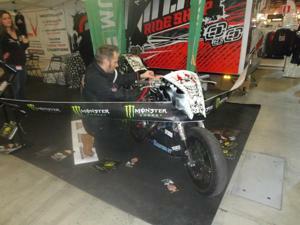 We still have one more test race in Tierp 28.9.-29.9. with Hammer 1 -bike and couple of bike presentations in different exhibitions with Hammer 2. We are also, of course, having once again our traditional Season End -party with all of our sponsors and supporters. Everyone is welcome to join us! The date and the place confirmation comes later, so stay tuned! The Season 2012 has been a great success for us! We achieved two out of our three ambitious goals we set in the beginning of the season. 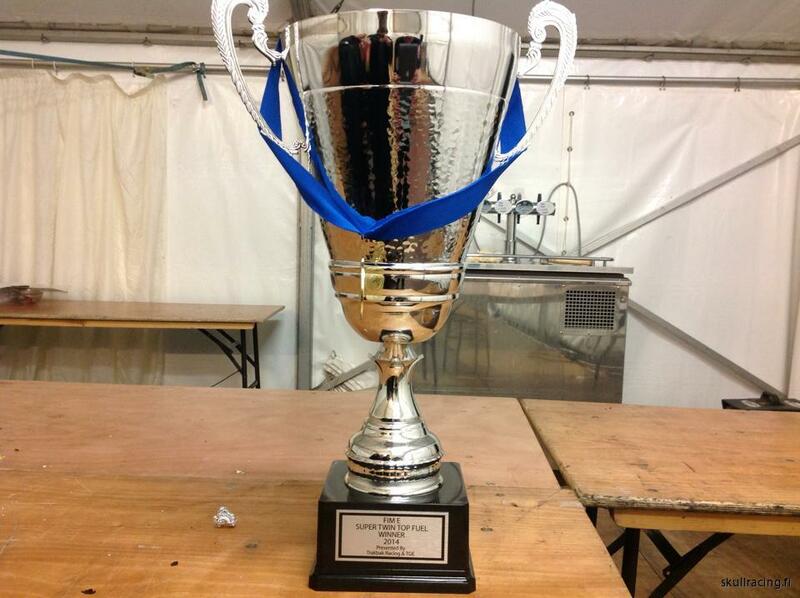 We are the Nordic Champion. We came 3rd in European Championship -series. 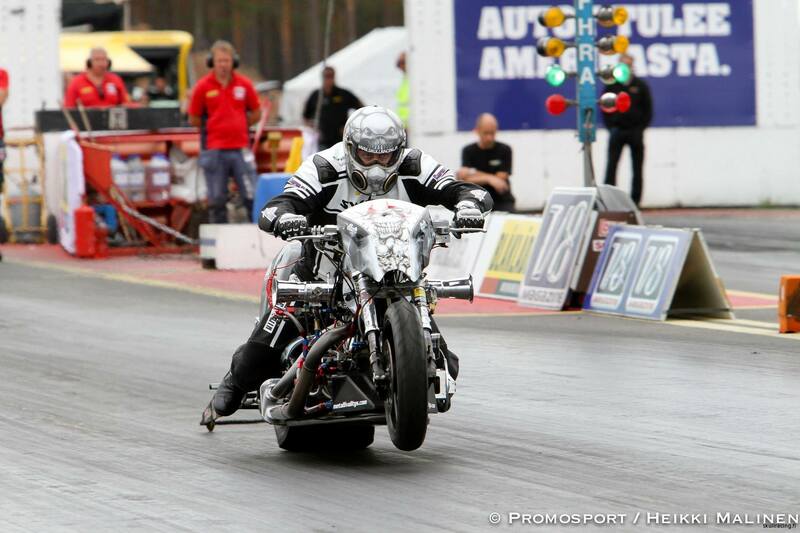 We approved our personal best time to 6,61 sec and personal best speed to 352,94 kmh. We won the Mosten Race Day. But, as you all know, we didn't do this all by ourselves. A huge thanks goes also to our supporters, sponsors, other teams, friends and everyone who has helped us to make this season happened!! Todays final racing was cancelled due to heavy rain. Nate Gagnon 1st position here in Tierp followed by Svein Olav Rolfstad 2nd place and Samu Kemppainen 3rd position. Skullracing and Samu Kemppainen is at 2nd place totally in UEM. Thank you for a great racing weekend in Tierp for this time. See you next time in Santa Pod, England.